While town and state studies have found no evidence of runoff or wetlands violations from the work, officials said a sponge-like boom would be installed to absorb any residue in the water. Huntington Town crews will install a sponge-like boom on Mill Pond behind the former Thatched Cottage catering facility in Centerport after residents raised concerns that a slick spot on the water came from chemical runoff during construction at the facility. Town officials said there was no evidence of runoff or tidal wetlands violations indicated in town and state Department of Environmental Conservation water tests last month after the first complaints were registered. But Town Supervisor Chad Lupinacci, in a meeting Friday with Centerport residents, offered to install the boom near the Thatched Cottage sea wall in part to protect a pair of bald eagles that recently have made a nest at Mill Pond. “While all testing has returned zero evidence of contamination, we will be taking an extra, proactive step to ensure our water stays its cleanest and our winged friends can safely enjoy the beautiful habitat in which they have taken up residence,” Lupinacci said in a news release. The soft boom was described as "a sponge-like material" that soaks up residue in the water from many possible sources, "including the sediment, oil and other substances brought in from the harbor with the tide, stormwater runoff from Route 25A, and runoff from the land surrounding the pond. 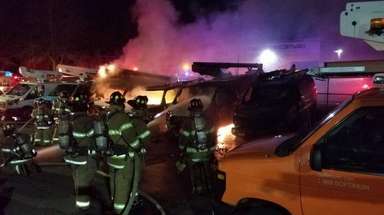 Residents should expect — and not be alarmed — to see these naturally-occurring substances on the boom," town officials said in the statement. Tom Knight, a co-president of the Centerport Harbor Civic Association, attended the meeting with town officials and said he hoped they would be "vigilant" in protecting the pond. "We’re not altogether sure how deeply they're delving into this," Knight said. "They did say they’re putting a boom in the pond, but we want them to be as vigilant as possible in keeping an eye on the area." Town officials said the administration contacted the concerned residents to allay fears of pollution in Mill Pond. "While there are naturally occurring contributors to the appearance of Mill Pond, the residents have been very vocal about their concerns of a visible sheen on the water," Huntington spokeswoman Lauren Lembo said in an email. 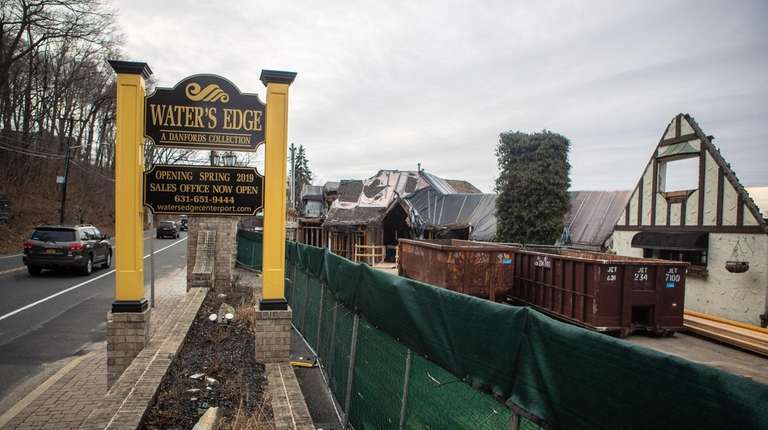 Robert Schwartz, the founder and administrator of the Bald Eagles of Centerport Facebook group, said he also wants to see results from the Crest Group, the developers who are turning the Thatched Cottage into a new wedding venue called Water's Edge. Schwartz said the construction site has vulnerable sections where Mill Pond isn't fully protected. "I'm extremely pleased with the town's desire to want to work with the residents of Centerport, but I am not fully convinced the site is secured as of this moment," Schwartz said. "From either side of the Water's Edge you can see penetrations in the sea wall where there could be runoff." A representative of the Crest Group said the company was cooperating with the town and state. "We've let the DEC and the town officials speak for us because we don't have any further comment," said Christina Whitehurst, the chief marketing officer for the Crest Group. 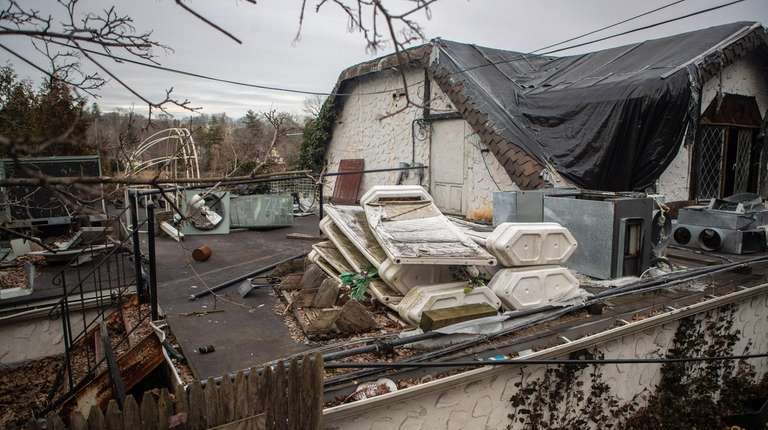 "We're owners and developers of real estate on Long Island and we live here, we work here, our families are here....we want to do everything we can to make sure our business thrives and our community and environment thrive, and we're not going to do anything to damage that."